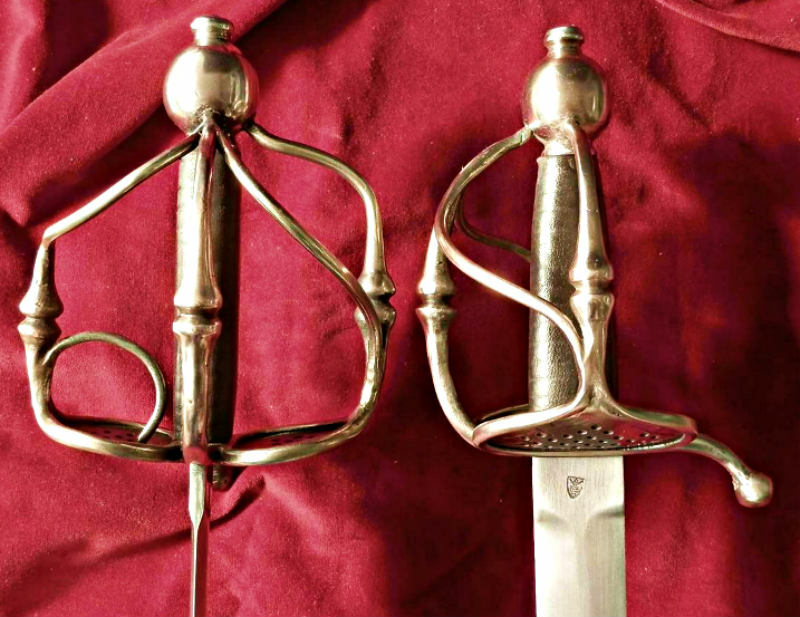 Forum Index > Historical Arms Talk > A new Del Tin Walloon sword? 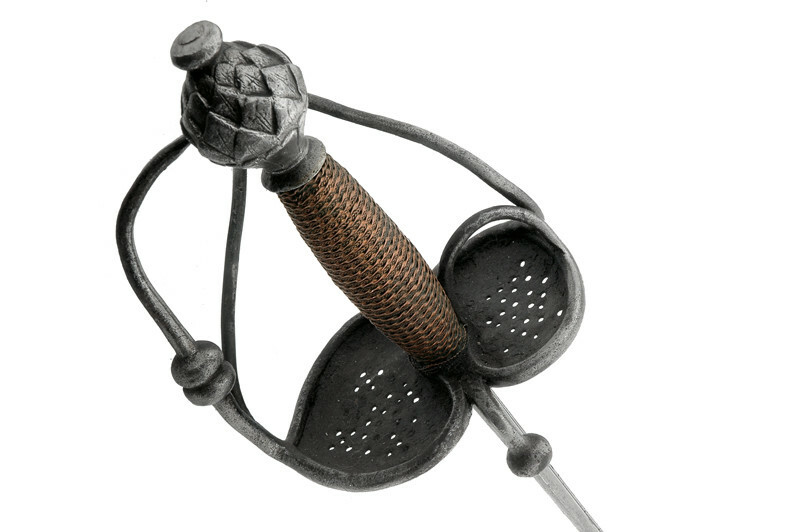 Posted: Sun 25 Oct, 2015 4:16 pm Post subject: A new Del Tin Walloon sword? I came across this photo in the New Items section on the Del Tin website. Unlike the other items in this section, there was no model number or description assigned to it, just the photo. the photo's name is Vallona4. It is obviously a 17th century Campaign Sword, and could be called a Walloon for lack of a better name. 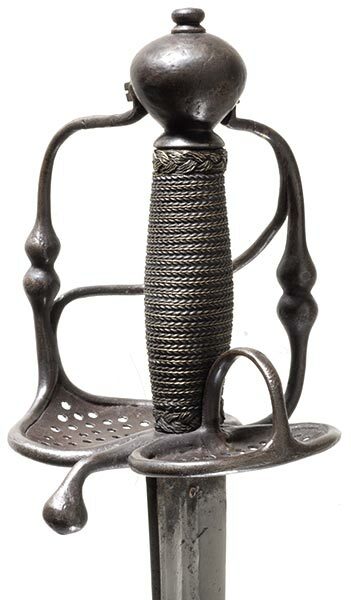 I am a big fan of this sword type, and want to know more about this Del Tin version. Does anyone know anything about it? (Of course I could always ask Del Tin) Maybe it will show up at KOA before too long. the only thing I don't like about it is the design of the thumb ring - it shouldn't terminate on the pierced side-plate. I agree about the thumb ring, but maybe it could just be bent into desired form? Even though the thumbring side is often narrower, it is not always the case. But I must say I find the blade they have chosen a bit dull, when considering all the different kinds used on the originals. I sent a mail and asked Del Tin about it. It will be available from February. I even got some more pictures. I will try to upload them tomorrow. And another one including the blade. Viktor got an email from Del Tin about a year ago, saying that this sword would be available after February 2016. I wonder what happened? It still hasn't been released. The sword is in the price list. If you want to order something from Del Tin you contact them at info@deltin.net and they provide you with an up to date price list. The sword is in that list. But strangely no pictures in the catalogue. I asked Fulvio Del Tin about this sword. Its designation is DT6170. It will be released sometime early in 2017. It appears to me that the thumb ring, at least on that individual example, looks long enough that it could be easily bent over to the guard and brazed in place. It would spoil the grip of course, so this would be a refit project. But apart from that it wouldn't be too much trouble. Yup. It's way too symmetrical. Anyone heard anything more about the Del Tin Walloon above, DT6170? Never mind, just got a message from Fulvio Del Tin that it is not available and no estimate of future availability. That is too bad. It looked like it had some design problems. I guess they figured it wasn't worth fixing.